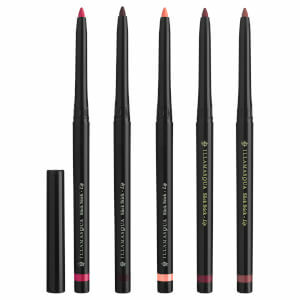 Long lasting, colour intense lipsticks with a semi-matte cushioned finish. 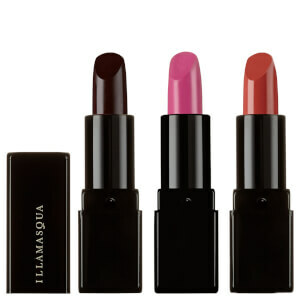 Half-way between matte and satin, Antimatter lipsticks glide onto lips smoothly and provide comfortable, continuous wear. I bought the antimatter lipstick in the Energy colour. It suits me really well and enhances my pale skin. It somehow brings light to the face. I think it would also suit well darker complexions. I find the formula to be non-drying and it lasts quite long, if you don't drink or eat too much. Overall a good product, and I'm super happy of the colour; as said, it brings forward my best features. I really wanted to love this one but I couldn't...very neon on my fair skin, colour on the website does not match at all. Also, it broke straight away causing me to waste a lot of product trying to fix it. I work as a waitress. The lipstick lasts even as I drink water and soda throughout the day. But.... it's the wrong color. No matter what I do, this lipstick ranges from a fuchsia to a deep berry color (with a true red lip liner underneath). I was looking for the same rich red color worn by "Irene Adler" in BBC's Sherlock. It looks like Illamasqua's Anti-Matter Lipstick in Midnight fits the bill, so I have placed an order for that color. Spectra is a very pretty color in its own right.